Do you run out of time in the day and as a result your workouts don't happen? 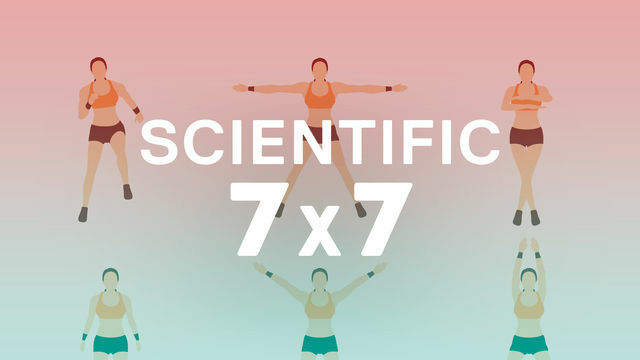 Well, research has shown that seven is your lucky number to get fit fast. This daily program is full of highs, lows, peaks, and valleys to mix up the norm and keep you on your toes. Each workout is only 7 minutes long and the exercise order varies between muscle groups to make them efficient and effective. In order to maximize the benefits of only 7 minute workouts you have to work at high intensity. This means give it everything you've got! You only need a set of dumbbells to get rockin' and rollin'. 7 minutes, 7 days a week, for 2 weeks, are you up to the challenge?